As many of you know, Mater Ecclesiae in Berlin, New Jersey, has offered a special Assumption Mass for the past 14 years. It started with a threefold intention: first, to praise God and honor Our Lady on this most magnificent feast; second, to thank God for the establishment of Mater Ecclesiae, the foundation of which back on October 13, 2000 was truly a miracle; and third, to use some of the greatest music in the history of the world where it was meant to be used, in the Sacred Liturgy. 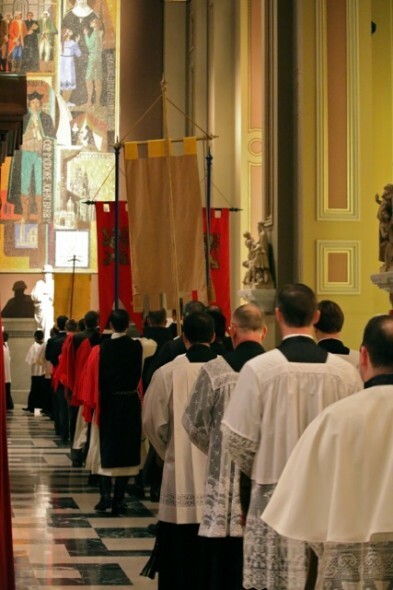 This Friday, August 14, at 7:00 PM, the Fifteenth Annual Assumption Mass, in the Extraordinary Form, will be offered at the Cathedral Basilica of Saints Peter and Paul, Philadelphia, Pennsylvania. Dr Timothy McDonnell gathers musicians from across the Philadelphia region each year and forms the Ars Laudis Festival Orchestra and Choir. 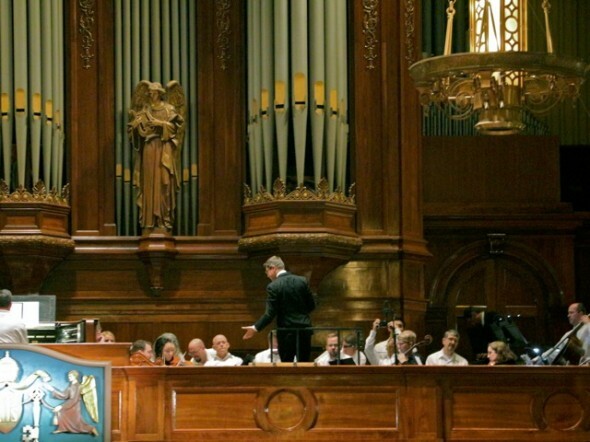 During the Offertory of the Mass the choir will sing the Salve Regina by Francis Poulenc. During the reception of Holy Communion three motets will be sung: the first, O Quam Suavis, by G.B. Cesena - Hail, Lord Jesus Christ, blessed King, praise of the angels, glory of the saints, vision of peace, undivided Deity, true man, flower and fruit of the Virgin Mother; the second, Vidi speciosam by Felice Anerio; and the third, the five part Assumpta est Maria, by Palestrina.There will also be some instrumental works by Tommaso Albinoni. It is a tradition at the Assumption Mass to always begin with the Hymn, O Sanctissima, and to end with The Hail Holy Queen. Both hymns have been magnificently arranged for Organ and Brass Choir by Dr McDonnell. Friday night will be a night of magnificent praise of God and honor and love expressed to Our Lady, by some of the greatest music ever written by human beings, in the place where it belongs. AMDG.